As Coach Ige said – This is it! It’s crunch time! I knew my June training would be heavy and difficult. Tiring. Long. 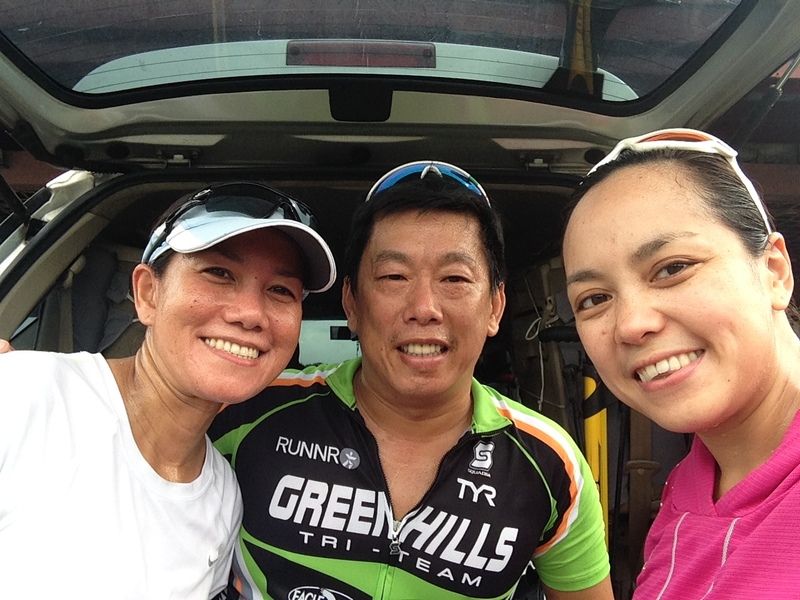 But my attitude changed while training for the Cebu IM70.3 event. Tiring means fulfillment. Long means miles in the bank. Heavy and difficult mean gaining strength and endurance. A lot has happened over the past few months. I have finished two Olympic Distance triathlon events. I have climbed mountains with my bike Jacq. Ran alone for 22k without company. Swam 3000 meters in a 25 meter pool. Activities I thought were not possible. As I write this blog entry, I am envisioning flashbacks of what have transpired during my last few months of training – a small smile is on my lips. 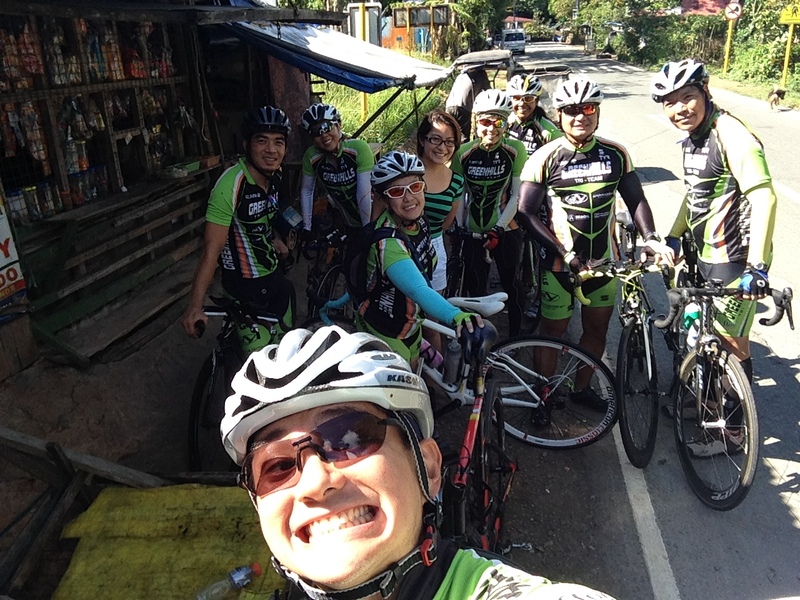 My GHTT teammates asked me to join them for a long ride from Jala-Jala to Real Quezon. I remembered Jala-Jala to be flat and I enjoyed it very much so I agreed. I now call it the FAKE Jala-Jala because we did not go to Jala-Jala and instead turned left towards Bugarin. Without warming up, we started our climb. Climb….descent…repeated thrice. We started with a view of Laguna de Bay and ended with a view of the Pacific Ocean. 80k one-way. The Pacific Ocean in Real Quezon. We made it! Here comes June. June for me is one of the busiest months of the year. ‘Tis the season to be busy. Annually, I have a fly to Singapore to attend a convention. Usually, I extend my stay so that the hubs can follow. This year however, my husband decided to take the kids so I already expected to miss my training during our stay. Knowing that I will miss my heaviest week, I decided to do all my scheduled workout a week before my trip. This includes a 22k long run plus a 100k ride to Naic from Alabang. As you probably know, I train with my hubby. We may not finish together but we always, well almost always, start together. But on June 12, he didn’t want to run so I had no choice but to do it myself. I ran 22k alone in Camp Aguinaldo. I thought I couldn’t do it anymore. I guess once a runner, always a runner. Even if I’m a really slow one. It was in my program that I must finish a 100k bike ride in either Amadeo or Naic. I’ve been hearing horror stories about Naic – the number of intersections that you have to cross; the amount of vehicles that you will have to contend with; and the strong headwind which makes the ride more difficult. But it had to be done so hubby & I rode with some of my teammates, riders from Ayala, friends and my two coaches Nonoy Basa and Ige Lopez. We were heading towards Daang Hari when I hit a pothole which caused me to fall. I fell hard. My left arm sleeve was torn, arm had a nasty and deep gash, right hard was bleeding. But I stood up, washed and tended to my wounds and continued on. I finished the 100k required ride – amidst my fall; the amount of vehicles I had to deal with; the numerous intersections I had to cross; and my injured and bloody wounds. I did it. Johann saw me fall from behind. Haha! Obligatory photo with him with my wounded pinky finger at the first pit stop going to Naic. Hubby & I with my two coaches Nonoy Basa & Ige Lopez – The BESTEST! 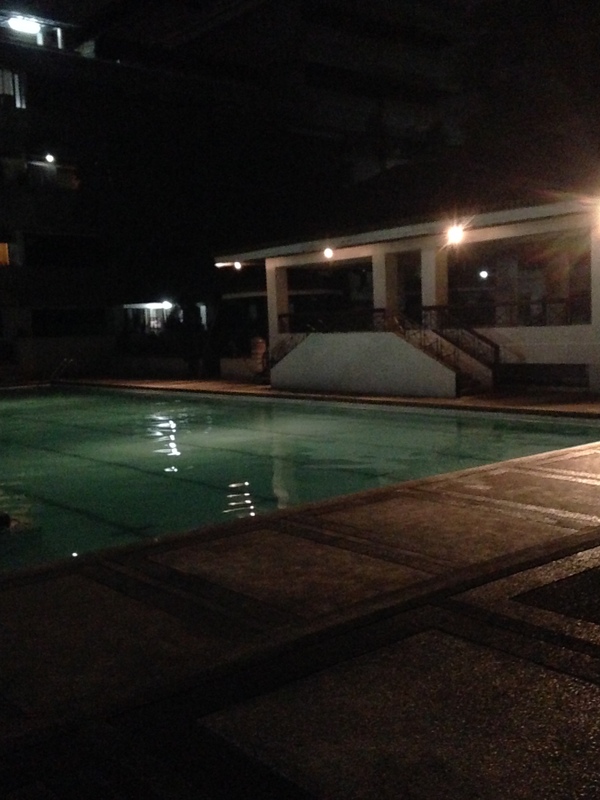 I had a scheduled swim class the day after I got back from my weeklong trip to Singapore. Coach Nonoy meant business. We started with a 300m warm up, 450m drills and a 2000m main set. Main set was 40 x 50m – yes 40 x 50m – this translates to 80 laps. It was also the kind of session I love to hate – speed sets. Ugh. But I finished it. Added another 50m after my 200m cool down to complete a 3k swim. 120 laps. Amazing. Now as I look back, I couldn’t believe what I have endured and what I am undergoing to reach for my dream of becoming a half IronMan finisher. With the Cebu IM70.3 just 36 days away, I just hope and pray that I continue to persevere and not be discouraged with small failures that I may experience while in this journey.